Parking lot sealcoating has become essential for businesses and organizations of all types. Asphalt parking lots have the potential to last decades. However, what matters is whether the property owner is willing to proactively take care of the space. If you plan on getting several decades out of your lot, you need to protect it in the proper manner. Even though our area does not receive snow and significant amounts of ice, we certainly receive our fair share of powerful UV rays from the sun and pounding rain. These are both legitimate threats to your asphalt pavement. If you do not protect your asphalt lot, it will gradually fade in color and weaken as time progresses. This is precisely why parking lot sealcoating should take place every two years. Asphalt pavement is not invincible. Once enough time has passed, your asphalt pavement will eventually lighten in hue and become fragile. Parking lot sealcoating will extend the useful life of your pavement. This is the affordable and preventative maintenance every asphalt lot should receive at least once every two years without exception. Once the sealcoating is performed, your lot will have a protective layer that guards against the powerful UV rays, chemicals, rainstorms, and all sorts of other threats. Sealcoat your lot every two years and it will even be able to withstand spills from automobiles, whether it is gasoline or oil. This is the important layer of protection your asphalt parking lot needs to look its best, prove functional, and remain safe. Though it is unfair, people judge businesses and organizations on looks. The first impression is of the utmost importance. Your business only has one chance to make a positive first impression. Parking lot sealcoating will make your property look that much better. 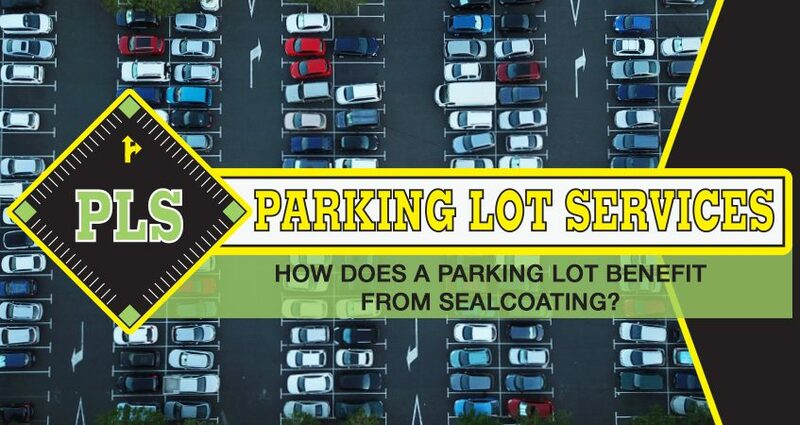 Sealcoating a parking lot also makes it that much easier to identify parking lines and traffic lines. Have your property sealcoated every two years and it will display a consistently impressive and inviting aesthetic. Have your parking lot sealcoated and you will find this minor investment saves you a considerable amount of money. Parking lot sealcoating protects your asphalt against all sorts of problems that would spur repair and replacement projects, which can be expensive. Alternatively, you can be proactive, pay comparably less for parking lot sealcoating, allowing you to avoid repairs. We are here for your parking lot sealcoating needs. Give us a call at (813) 563-6189 or fill out our contact form to learn more about parking lot sealcoating and schedule a free consultation.